Looking to see Australia from a different perspective? 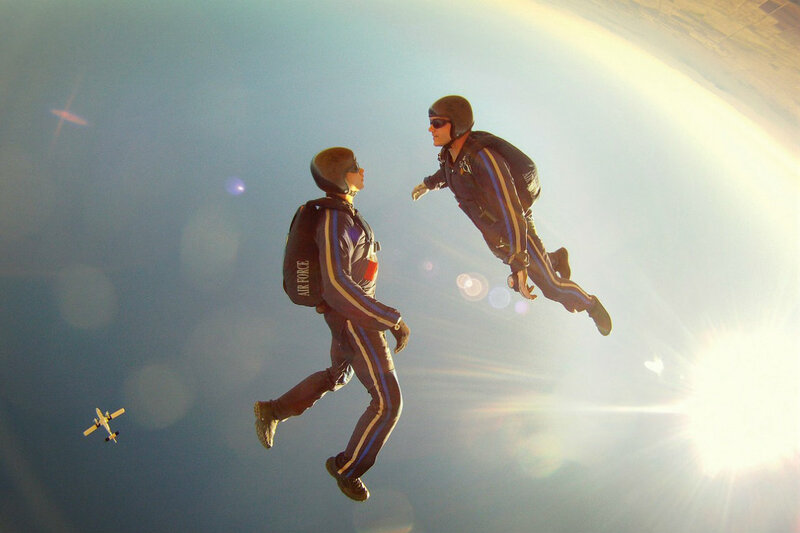 Why not check out some of the best skydiving spots scattered across the country? From Airlie Beach to Wollongong, check out where to go skydiving in Australia today! Mission Beach, Queensland, Australia. Image Credit: Paul Toogood / CC by 2.0. Where will you be jumping? 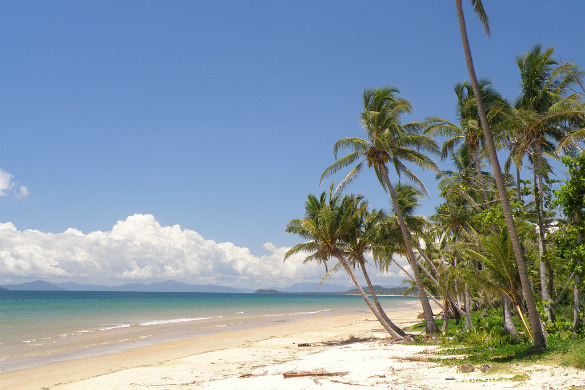 Located about halfway between Cairns and Townsville, Mission Beach is a collection of four small towns that are bordered by the Great Barrier Reef, some areas of lush rainforest and 14 kilometres of unspoilt coastline. Despite growing in popularity in recent years, the Mission Beach area remains laid-back and nothing short of picture perfect. Thanks to its spectacular position along Queensland’s coast, skydiving above Mission Beach gives you the opportunity to see tropical islands, rainforest, a section of the Great Barrier Reef and, of course, some incredible beaches from a bird’s eye perspective. Wollongong, New South Wales, Australia. Image Credit: Pavel / CC by 2.0. 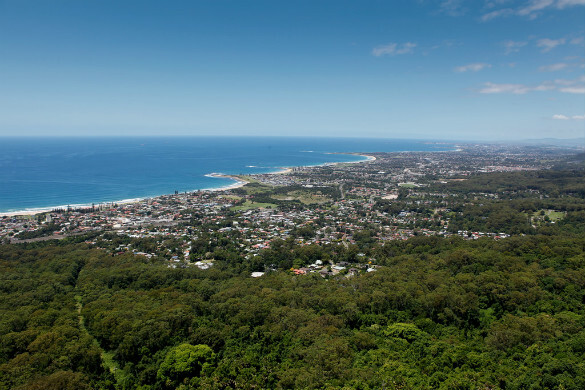 Around an hour and a half south of Sydney’s CBD, Wollongong is not only one of New South Wales’ largest cities, but is also home to some fantastic beaches, a lively arts scene and some wonderful restaurants. The gateway to the state’s South Coast, there’s so much to see, do and discover in this scenic part of the state. Skydiving above Wollongong, you’ll enjoy wonderful views across the city and its beaches, as well as glimpses of the Royal National Park, the beautiful South Coast and perhaps even the odd dolphin or whales if your jump aligns with their annual migration seasons. Byron Bay, New South Wales, Australia. A popular haunt for festival lovers, surfing aficionados and sun seekers alike, Byron Bay is a coastal town found just under an hour from the Queensland border. Boasting great weather, an abundance of natural beauty and the most easterly point on the Australian mainland, it’s a coastal locale with plenty to offer. 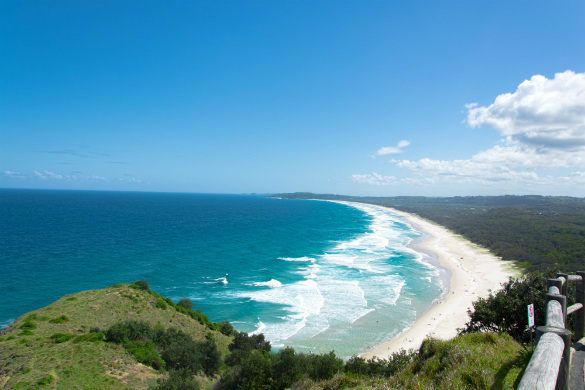 In addition to some great beach and hinterland views, as you float high above the Byron Bay area, you’ll also have the opportunity to catch a glimpse of the Gold Coast, Brisbane and some parts of New South Wales’ wonderful North Coast. Airlie Beach, Queensland, Australia. Image Credit: Damien Dempsey / CC by 2.0. 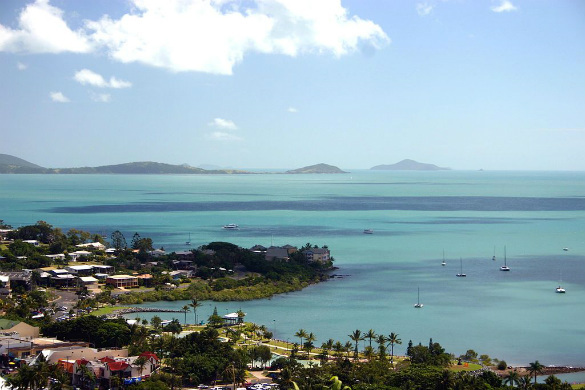 Situated on Queensland’s Whitsunday Coast, Airlie Beach is found in a corner of the country best known for its beaches, some of which are considered to be among Australia’s best. Positioned between Townsville and Mackay, not only does the region offer spectacular coastlines to explore, but is also bordered by lush national parks and a stretch of the Great Barrier Reef. While the first things you’re likely to notice when skydiving above Airlie Beach are the stunning beaches of the Whitsundays, the many islands that make up part of the Great Barrier Reef and the crystal clear waters that surround them, the area is also peppered with breathtaking green spaces, including Conway National Park. Fraser Island, Queensland, Australia. Image Credit: Rulz.rishi / CC by SA 4.0. Another of Queensland’s scenic skydiving spots, Fraser Island is situated to the southeast of Bundaberg, just north of the Sunshine Coast. 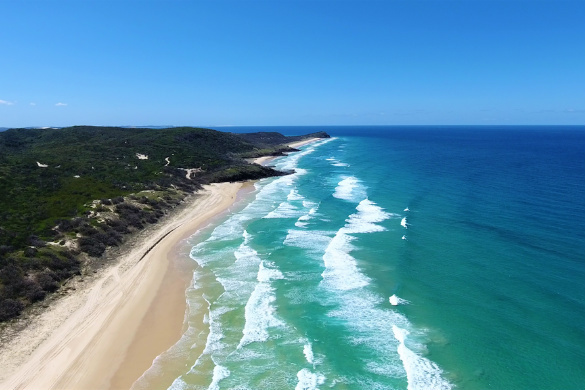 Considered to be the world’s largest sand island, not only is Fraser Island incredibly beautiful, but it is also home to some of eastern Australia’s most pure dingoes, amazing beaches, thrilling 4WD tracks and so much more. Along with the picture perfect beaches of Queensland’s Fraser Coast, skydiving above Fraser Island also offers great views of the island, including Rainbow Beach, Inskip Point, Tin Can Bay and Carlo Sandblow. Rottnest Island, Western Australia, Australia. The home of the incredibly photogenic quokka, Rottnest Island sits just a short distance from the Australian mainland, found only 19 km from Western Australia’s state capital, Perth. 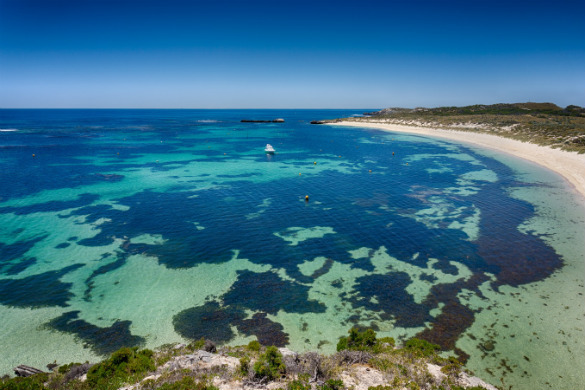 Feeling a world away from Perth’s city centre, the island exudes a laid back vibe and is home to several pristine beaches, an array of marine life and some interesting historic sites. Not only will you have the chance to admire the island from a new perspective, but you’ll also enjoy incredible views of Perth and its suburbs, as well as the surrounding coastline and its beautiful beaches. Uluru, Northern Territory, Australia. Image Credit: Corey Leopold / CC by 2.0. 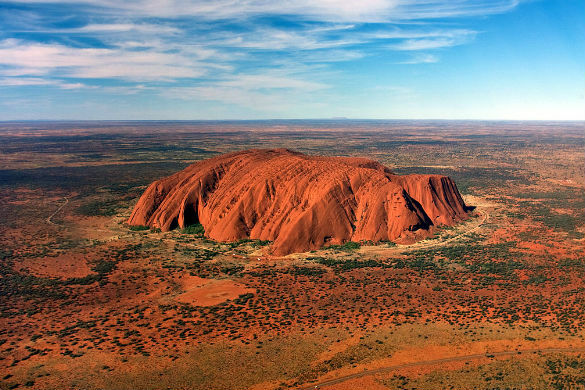 One of Australia’s most iconic natural attractions, Uluru sits firmly in the heart of Australia’s ‘Red Centre’. A one hour flight from Alice Springs, the remarkable monolith is surrounded by the Uluru-Kata Tjuta National Park, and the rich red soils and ancient rock formations that this remote part of the Northern Territory has become so well known for. Spectacular at any time of the day, skydiving above Uluru gives visitors the chance to admire the sheer scale of the famed rock from a bird’s eye view, discover the beauty of its rugged surrounds and feast their eyes on the endless plains that stretch from horizon to horizon. 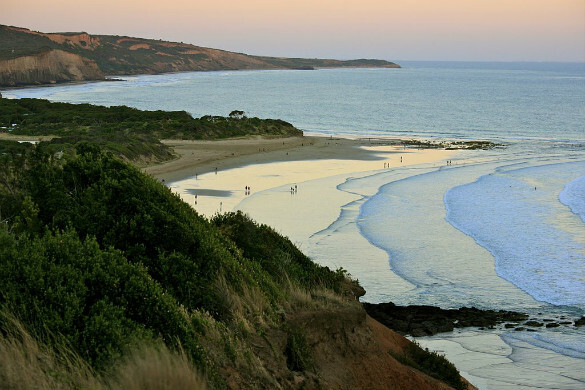 Torquay, Great Ocean Road, Victoria, Australia. Image Credit: Alex Proimos / CC by 2.0. Considered to be one of the world’s most scenic drives, the Great Ocean Road winds its way along Victoria’s southern coast, from Torquay to Allansford. Offering unforgettable coastal views, access to countless great surfing spots and plenty of great towns and villages to discover along the way, this incredible part of the state is abundant in attractions and fantastic experiences. Jumping above Torquay and the eastern edge of the Great Ocean Road, you’ll soak up stunning coastal scenery, including some of the region’s popular beaches, wonderful ocean views and a glimpse of the state capital, Melbourne. Ready to see more of Australia? Book flights, rental cars, hotels, and more, with Webjet today!